Visa has come out victorious after the UK High Court dismissed the case against processing fees made by UK supermarket chain Sainsbury’s. Sainsbury’s kicked off over processing fees, which is charged to retailers each time a credit or debit card payment is processed, by claiming damages caused by Visa, accusing its fixed “interchange fees” of breaking UK and EU competition laws. Sainsbury’s did succeed in a similar claim against Mastercard last year, when it secured a £68 million award. That streak now has been broken after its suit against Visa was dismissed by the High Court, stating that the fees are lawful and Sainsbury’s claim “fails in its entirety”. 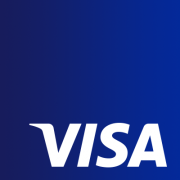 Visa, which we’d suspect is smug about the outcome, “welcomed the decision” and hopes the court’s ruling will “accelerate the collaboration between retailers and Visa”. Sainsbury’s on the other hand, is off licking its wounds and is now “considering its position”. For the last couple of years, interchange fees have been a topic among many retailers, even leading to the European Commission in 2015 to impose a permanent cap. The UK’s HM Treasury went further in 2017, by putting an end to “rip-off” surcharge fees related to paying with a debit or credit card.